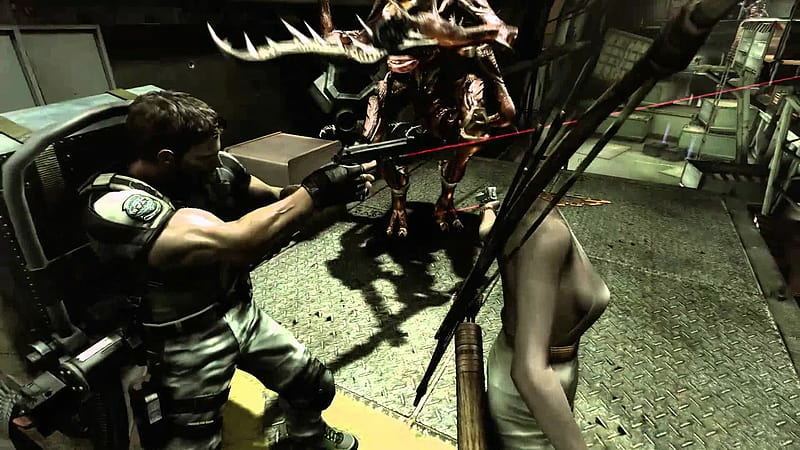 Resident Evil 5 sees Chris head to Africa where the latest bioterrorism threat is literally transforming the population into mindless, maddened monstrosities. In Resident Evil 5 on PlayStation 3 Chris, together with fellow BSAA agent Sheva Alomar, must discover the truth behind this evil plot. Returning Resident Evil hero Chris Redfield has followed the path of the evil literally around the globe. Now a member of the Bioterrorism Security Assessment Alliance, Resident Evil 5 sees Chris head to Africa where the latest bioterrorism threat is literally transforming the population into mindless, maddened monstrosities. 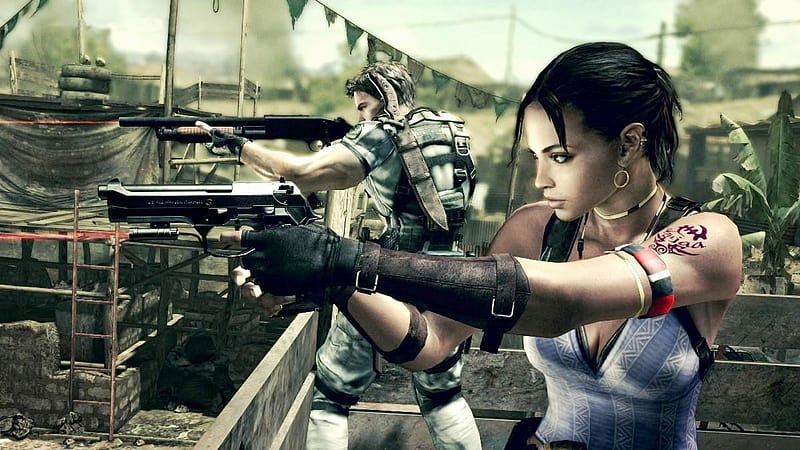 In Resident Evil 5 on PlayStation 3 Chris, together with fellow BSAA agent Sheva Alomar, must discover the truth behind this evil plot. 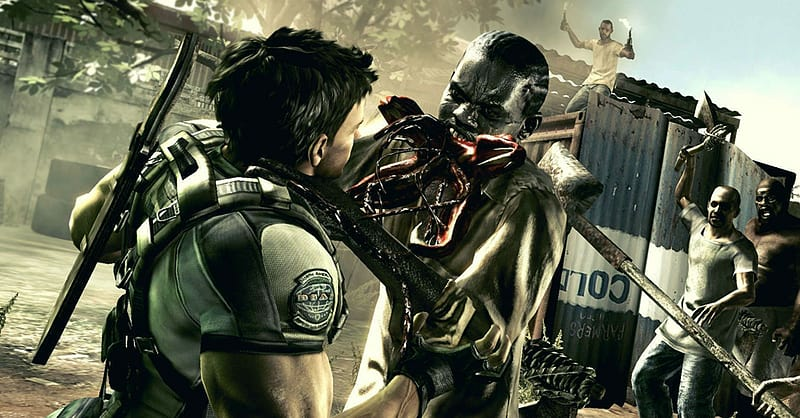 The sequel to one of the highest-rated videogames on Metacritic.com and Gamerankings.com, Resident Evil 5 delivers an unbelievable level of detail, realism and control. Featuring co-operative online and splitscreen gameplay, adrenaline-pumping action and a story that sheds new light on Umbrella's origins, Resident Evil 5 redefines Survival Horror for a new generation of gamers. Chris Redfield Returns: The protagonist of the original Resident Evil and Resident Evil: Code Veronica is back again in Resident Evil 5. 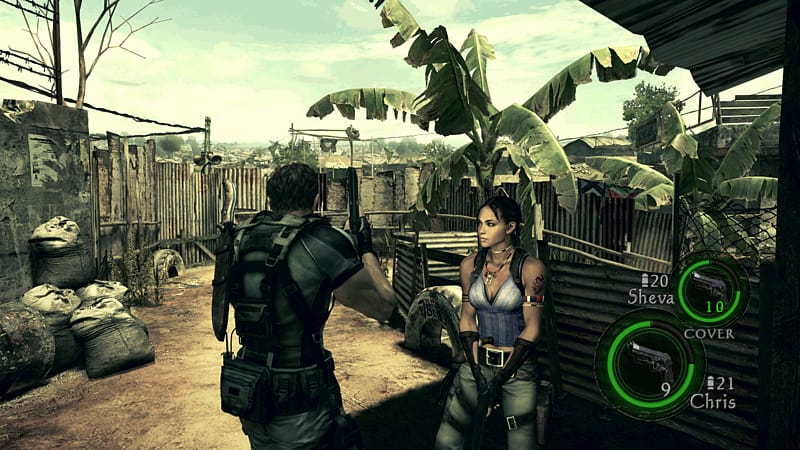 New environments: Resident Evil 5 will present a diverse assortment of locations. New enemies bring new challenges: Speed and intelligence make adversaries in Resident Evil 5 as dangerous singly as they are in groups. 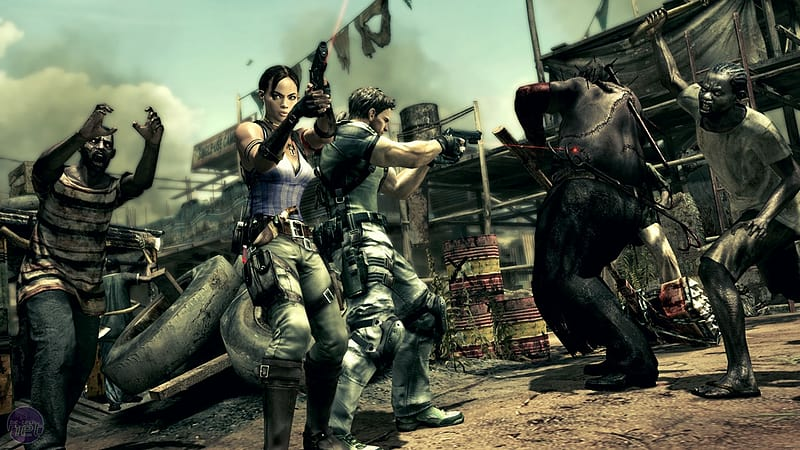 An arsenal of weapons: Keep the evil at bay in Resident Evil 5 with knives, pistols, machine guns, sniper rifles and more! Amazing lighting: Resident Evil 5 boasts amazing visual effects that lend a new level of suspense in both harsh light and deepest shadow. True high definition gaming: Resident Evil 5 uses an advanced version of the game engine which powered smash-hits Devil May Cry 4, Lost Planet and Dead Rising!